AMBADAS KHANDUJI SHINDE and ORS Vs. ASHOK SADASHIV MAMURKAR and ORS. Respondent: ASHOK SADASHIV MAMURKAR and ORS. 2. The appellants herein who are landlords have approached this Court aggrieved by the impugned order dated 22nd September, 2014 passed in Civil Revision Application No. 50 of 2013 by the High Court of Judicature at Bombay, Nagpur Bench, Nagpur wherein and whereby the learned Judge has allowed the Revision by setting aside the judgment and decree passed by the Courts below. 3. The facts of the case in nutshell are that the appellants/landlords filed Small Cause Civil Suit No. 47 of 2005 on the file of the 5th Joint Civil Judge, Junior Division, Amravati seeking recovery of possession on the ground of bona fide requirement, change in usage of premises, willful default and further sought the relief of mesne profits. 4. It is stated in the plaint that the suit schedule premises bearing new Municipal House No. 187/3 in Ward No. 37 on the ground floor, which is part of three storied building, is owned by the plaintiffs. The defendants’ father originally occupied the property on a monthly rent of Rs.200/- for carrying on the business of Dahi (curd), which was let out to him by the mother of 1st plaintiff and grandmother of plaintiff Nos. 2 to 4. After the death of defendants’ father, they have changed the nature of the business and started a travel agency without the prior permission of landlords/owners. The tenants are chronic defaulters who failed to pay the rent from January 2001 to April 2005. In spite of receipt of the notice from the landlords, they failed to pay the rents. In respect of bona fide requirement, it is stated that as plaintiff Nos. 3 & 4 are unemployed and are in need of money for maintaining their family, hence they wanted to start kirana business as such they required the suit schedule property which is suitable for the business. The plaintiff No. 2 in the month of December 2005 started shop of Goli biscuits & Snacks in another shop of 4 x 10 ft. vacated by the tenant. It is stated by the plaintiffs that defendants own and possess two storied residential building having two shop premises wherein one shop is lying vacant. They also owned three luxury buses. Defendants being potential persons do not require this premises but whereas the plaintiffs are in dire need of the premises and balance of convenience is in their favour and if the premises is not vacated it would cause great hardship. 5. In response to this, the defendants filed their written statement stating that the property was let out by the plaintiffs’ mother to defendants’ father in 1979 for business purpose but not specifically to run the curd shop and right from 1999 they are running travel agency as such the permission of the landlord is not required. With regard to willful default it is stated that they are not in arrears and in fact till 2007 in advance they have paid the rents to the mother of the plaintiffs as she was in need of money. It is admitted by the defendants that they own a big complex but they state that it is a residential complex and in fact there is no bona fide requirement of the premises for the landlords but in fact landlords intend to sell the property. It is their further case that they purchased the buses by taking loans and are in severe financial hardship. It is stated by the defendants that the plaintiffs’ main source of income is rents. It is further stated that the plaintiffs have sold the shop in ground floor premises measuring about 7′ x 15″ vide sale deed dated 30-09- 2004 and another ground floor shop measuring 257 sq.ft. by sale deed dated 13th May, 2005 and another room by sale deed dated 29-05-1995. It is also stated that the plaintiffs are running Pathela on the Nazul land for which Corporation has issued notices to remove the same. 6. The trial Court framed eight issues for adjudication and after a full fledged trial, in response to the issue of willful default held that the rents were paid to the mother of plaintiffs and there was no willful default and the issue is held against the plaintiffs. The second ground raised by the plaintiffs i.e. change of nature of business was also negatived. But on the aspect of bona fide requirement, Court has come to a definite conclusion that the requirement of the plaintiffs is bona fide to run the kirana business as plaintiffs 3 & 4 are unemployed. The Court also observed that the defendants could not discharge the burden cast upon them in this regard. They could not establish that it is the intention of the landlord to sell away the suit schedule property. Hence the trial Court has concluded that even balance of convenience is also in favour of the plaintiffs and accordingly decreed the suit. 7. Aggrieved by the same, the respondents/tenants carried the matter by way of appeal to the District Court and the District Court remanded the matter to the trial Court to try it as a regular civil suit. Later the same was numbered as Regular Civil Suit No. 47 of 2005 for ejection and possession and the Court decreed the suit on the same findings as were recorded before remand. 8. Then the judgment and decree was carried in appeal by the tenant and the same was numbered as Regular Civil Appeal No. 104 of 2011 on the file of the Ld. District Judge, Amravati and after hearing the parties and going through the record, the appellate court confirmed the findings of the trial Court and dismissed the appeal with costs by judgment and decree dated 9-6-2011. The appellate court, after dealing with each and every issue, has agreed with the findings of the trial Court in toto. 9. Then the matter was carried on to the High Court by way of Civil Revision Application No. 50 of 2013. The learned judge allowed the Civil Revision Petition which is impugned before us. 10. We have heard the learned counsel on either side and perused the material placed before us. We are inclined to interfere with the order of the High Court on two aspects. One is the reasoning given by the learned Judge while allowing the revision lacked merit and secondly the order passed by the learned Judge is beyond its jurisdiction conferred under Section 115 of the Civil Procedure Code. 11. Having elucidated above the analysis of the evidence on record both by the trial Court and by the District Court, we find substance in the contention of the appellants that the High Court had no valid reason or justification to interfere with the concurrent findings in the exercise of its revisional jurisdiction. The sale of two shops by the landlords on 24 September 2004 and 13 May 2005 was admittedly to existing tenants in occupation of the shops. This is not a case where the landlord has obtained vacant possession of shops which were earlier given on rent and thereafter sold them as vacant units to a third party in an arms-length transaction. The fact that the sale by the landlord was to existing tenants is an important circumstance which supports the finding of the trial Court that in such a situation, the sale would be by reason of financial need or in compelling circumstances. 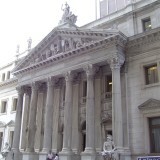 This view of the trial Court, which was affirmed by the District Court, cannot be regarded as perverse or based on no evidence, as the High Court held. 12. Moreover, there is a manifest error on the part of the High Court in holding that the landlords failed to explain the circumstances in which they obtained vacant possession of one shop on 19 July 2005 or on how it was being utilized. We have, in the earlier part of this judgment, extracted the findings of the trial Court and the first appellate Court, which indicate that in the shop of which vacant possession was obtained, a provision store is being conducted jointly. In this background, it was found that the need felt by the father as head of the family that his sons should be settled in independent businesses was genuine. The co-owners cannot be compelled to carry on business jointly since they are the best judges of their need. The High Court has overlooked these findings and has arrived at a patently erroneous conclusion that there was no explanation from the landlords of the manner in which the shop which had fallen vacant was being utilized. There was in fact an explanation. Each of the reasons which weighed with the High Court in reversing the concurrent findings were hence specious. 13. Apart from the factual aspect, order lacks merit on the ground of jurisdiction. The High Court cannot interfere with the concurrent factual findings while exercising jurisdiction under Section 115 of the Civil Procedure Code. It is settled law that revisional jurisdiction of the High Court is restricted to cases of illegal or irregular exercise of jurisdiction by the subordinate Courts. Under Section 115 of the Civil Procedure Code, it is not open for the High Court to correct errors of facts or law unless they go to root of the issue of jurisdiction. In the facts on hand, the Courts below have passed reasoned orders well within the jurisdiction conferred upon them. We arrive at the conclusion that the High Court committed error in interfering with the judgment and decree of the trial Court. 14. In view of the above discussion, the order of the High Court is set aside and consequently the appeal stands allowed. 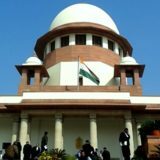 However, in view of the fact that the defendants/respondents are running business in the premises right from 1979, we deem it appropriate to grant six months time to vacate the premises, subject to the filing of usual undertaking to handover possession of the shop to the appellants accordingly. NEW DELHI, JANUARY 31, 2017.